OnePlus 5T will get camera improvements in the upcoming month. That’s what the company co-founder Carl Pei promises. OnePlus 5T is a great phone, but like every good stuff, OnePlus 5T has some cons too. 5T is a much enhanced and improved version of the predecessor OnePlus 5, but then, one area that the device falls a bit is in its low-light photography department. 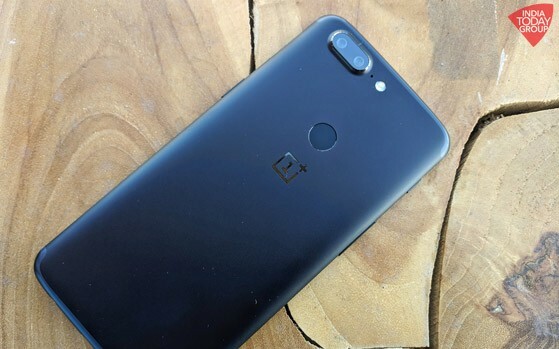 And keeping the bad stuff in mind — Carl Pei on Friday took to the OnePlus forum to post that OnePlus 5T is going to get a major software update in Dec, and that will give a massive boost to the phone’s camera setup, especially in its low light photography. It seems, OnePlus — going by its tagline “Never settle” doesn’t probably wants to rest for now. Pei further noted that as early feedback — OnePlus 5T has received a great response especially for its new 6-inch near bezel-less display, build quality, and the Dash Charge. “In addition, the camera has received a lot of positive attention around its improved low light performance and portrait mode,” notes Carl. Consumers have already started receiving their OnePlus 5T units and with that, the company — as Carl claims is going through the feedback forum on the OnePlus community page and trying to understand what people like or dislike about the phone. “As people have started receiving their OnePlus 5T orders, we’ve also begun seeing feedback from our community. Upon seeing this, we wanted to iterate and improve as soon as we possibly could,” notes Carl Pei. Not delaying enough, OnePlus it seems has already started filling all the loopholes. OnePlus has started working on a December update which will improve OnePlus 5T’s low-light photography, especially details as well as selfies to have a more natural exposure. “We expect to start testing it among a private group next week and roll it out to everyone in early December,” adds Carl. Earlier this week, OnePlus 5T received its first ever software update with the rollout of OxygenOS 4.7.2. The update brings in several improvements and an important security patch. The new OxygenOS update also includes improvements to front-camera’s Face Unlock feature, enhanced EIS feature during 4K video recording, and optimised fingerprint unlock system.